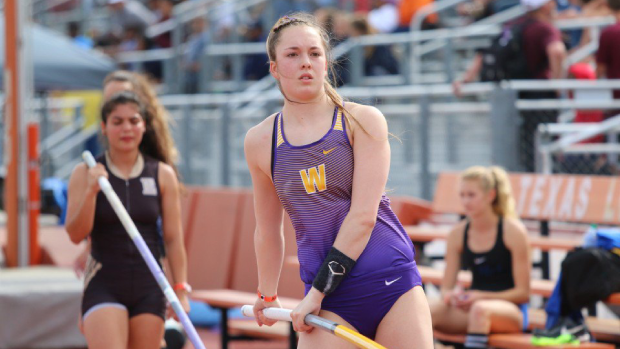 It's off to an early start for the Indoor National Champ Kaeli Thompson (Warwick Valley), as the Pole Vault star headed down to the Texas Relays for one of the most stacked fields in the country. The Duke-bound senior vaulted 13-6, the highest ever mark achieved in the month of March (or April, or before May 14th) by a New York athlete. Based on misses, Thompson finished fourth, behind Chloe Cunliffe (WA), who set the HSR at 14-9 earlier this month. Texas has become a hotbed for Prep Vault Action, largely in part to the training centers located in the State. 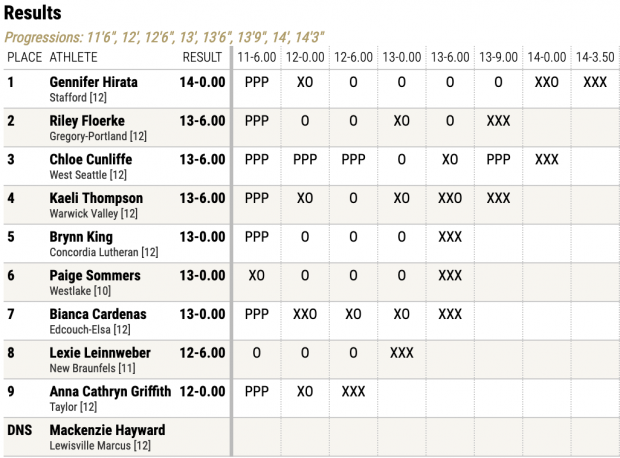 While not training at home Rochester, NY, Jenn Suhr frequents Texas as her home base for training, with some training also provided to local High School standouts. 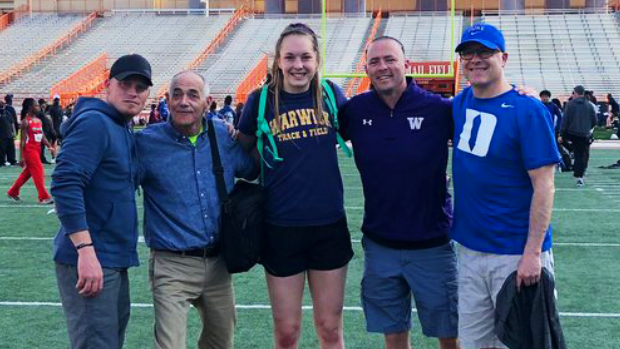 Last Summer, Suhr brought some of those athletes up to New York for the USATF Junior Olympic meet in Rochester. Many preps now vault on her Altius poles. The mark moves Thompson to NY #4 All-Time, just behind the recently-graduated Alana Carroll (Averill Park), who hit 13-6.25 last Spring. Besides Caroll, no one has jumped higher since 2005. Thompson took second at the Indoor State Meet this Winter, but is the top returner Outdoors. Junior Leah Pasqualetti (Orchard Park) hit a lifetime best of 13-3 at States for the win, but Thompson answered back the week after with the win at New Balance Nationals. Thompson is a member of the Hudson Valley Flying Circus Pole Vault Club.